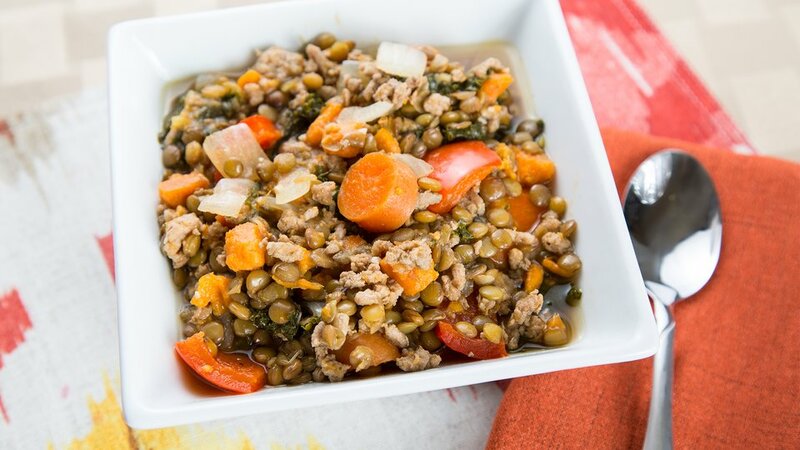 In a large pot, combine the broth, mustard greens, sweet potatoes, lentils, salt, and pepper. Put on low heat. Add half the garlic and ground turkey, cooking until no longer pink. Be careful not to burn the garlic. Remove from skillet and set aside. Heat the second tablespoon of olive oil in the same skillet, again over medium heat. Add to the pot containing the broth mixture. Bring stew to a boil, then reduce heat and simmer for 20 minutes. Add the ground turkey and garlic to the pot, cover, and cook for another 10-15 minutes, stirring every 5 minutes or so.